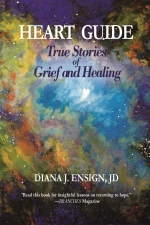 Intimate, personal stories highlighting the myriad ways people cope with real life struggles when facing traumatic loss. 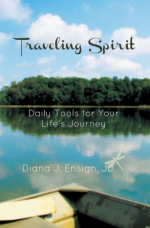 Traveling Spirit shares practical spiritual tools for your life's journey. 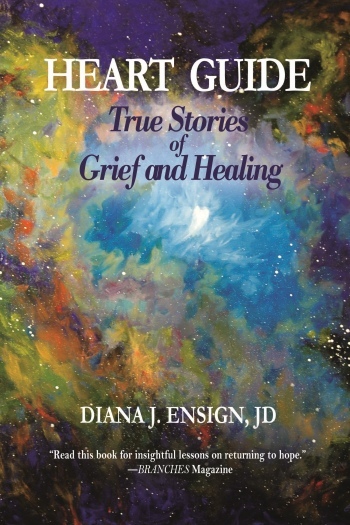 This is the perfect book for anyone seeking help and guidance with human suffering. 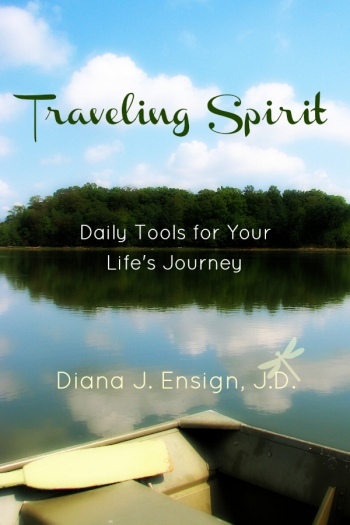 Diana J. Ensign, JD, is an award-winning author and speaker focusing on issues of spirituality, grief and loss, and personal empowerment. 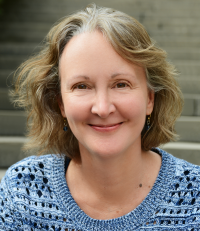 Her first book, Traveling Spirit: Daily Tools for Your Life’s Journey, was published in 2013, and her most recent book, Heart Guide: True Stories of Grief and Healing, made its debut in 2017. Her popular blog, Spirituality for Daily Living, features monthly posts on issues relevant to all spiritual seekers. Here on her personal website you can learn more about Diana, read book excerpts, and find out when she will be appearing next. Learn more about Diana’s books, read excerpts, purchase a signed copy, and read what others have to say about them. Diana gives public talks on matters of personal healing and transformation. Learn where she will be appearing next. Read short pieces written by Diana about spirituality, current events, healing, and more on the Spirituality for Daily Living blog. Read information about Diana J. Ensign’s life and work. Contact Diana to request booking information or just say hello! Find quotes, high res images, audio, and printable bio here. Whether we have lost a parent, child, spouse, sibling, grandparent, or significant person in our life, death of a loved one can send us reeling. The personal stories here highlight the myriad and unexpected ways people cope with real life struggles when facing traumatic loss. By collectively sharing our most vulnerable accounts of grief, we build a safe harbor around the subject of death — even when the stories are heartbreakingly difficult. When facing loss of a loved one — from suicide, serious illness, overdose, medical mishap, accident, or violent assault — WE CAN HEAL. The journey to wholeness starts with the breath, an essential tool for any spiritual undertaking. Traveling Spirit then goes on to explore ancient spiritual techniques, from the more common practices such as yoga and meditation to the lesser-known practices of t’ai chi and shamanism. Find the joy in learning to apply spiritual tools in your daily life. There’s a link between practicing daily spiritual routines and building a more loving world community! This is the perfect book for anyone seeking help and guidance with human suffering. It offers a path to happiness. The path begins within. Most recent additions to Diana Ensign’s blog. Today, set aside your list of worries and fears. What is possible for your life? What is possible for your community? What would you love to see?